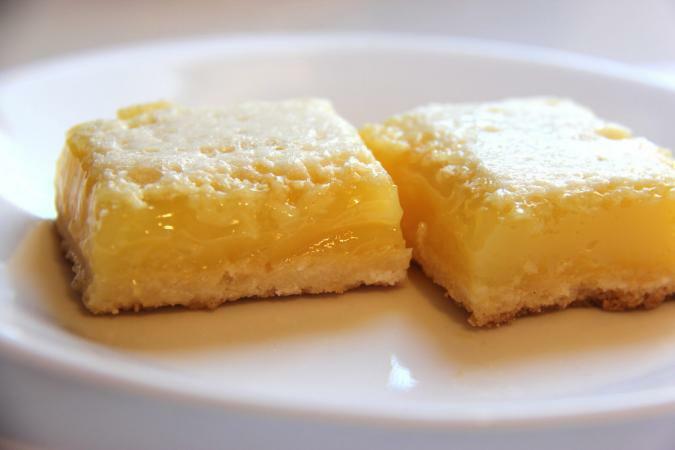 Lemon bars are a refreshing, classic dessert. Whether you want to make traditional bars or ones with a twist, you're sure to love some (or all!) the lemon bar recipes in this compilation. Enjoy making all the recipes so you can decide which type is your favorite! Chances are high that any recipe from Emeril Lagasse will be absolutely delicious, and that is definitely the case with his super lemony lemon squares! The secret ingredient that helps place these treats above the pack is two tablespoons of Limoncello. A more sophisticated take on traditional lemon bars, these olive oil and sea salt lemon bars were created by New York Times food writer Melissa Clark. This recipe for lemon bars combines lemon, sugar, butter, olive oil, and a touch of sea salt for a delicious dessert. Known as one of the best southern cooks, Paula Deen has a lemon bar recipe that doesn't disappoint! Compliments of the Food Network, these rich and delicious lemon bars combine a buttery crust with a tart and tasty filling made with fresh lemon juice. Food & Wine Magazine has outdone themselves with these lemon ripple cheesecake bars. Receiving five-star ratings from over 1,200 readers, this dessert displays a decadent swirl of lemon cheesecake and lemon filling for an addictive treat. If you're looking for a truly simple recipe that anyone can make, give these five-star no-bake lemon bars from the Bakerita blog a try. What could be better than creamy lemon bars with coconut and a sweet, delicious graham cracker crust that don't require baking? Dessert is for everyone, including those following a gluten-free diet. King Arthur Flour has crafted delicious gluten-free lemon squares using almond flour, cornstarch, and sugar for a perfect crust. Reviews indicate that bars are delicious and are great for bake sales. This five-star lemony take on blueberry crumble is sure to be your next favorite dessert! These blueberry lemon bars from the Wood and Spoon blog perfectly combine fresh berries, lemon, and sugar for a summer treat. This five-star rated, delicious recipe for cookie crust lemon bars from GeniusKitchen features a crust made from refrigerated sugar cookie dough topped off with a rich lemon custard that includes lemon juice, lemon extract, and lemon zest. This unique recipe for lemon oat bars has a perfect five-star rating on the Taste of Home website. It's easy to make and takes about 35 minutes to bake. If you love lemon bars and oatmeal cookies, it's sure to become one of your favorites! With this simple recipe for lemon square bars, you can make delicious lemon bars - complete with a homemade crust and creamy filling - using just eight basic ingredients. This great recipe has over a thousand reviews and a nearly-perfect rating on AllRecipes.